One Bishopston resident enjoyed a very Merry Christmas after winning £5,000 on a local charity raffle. 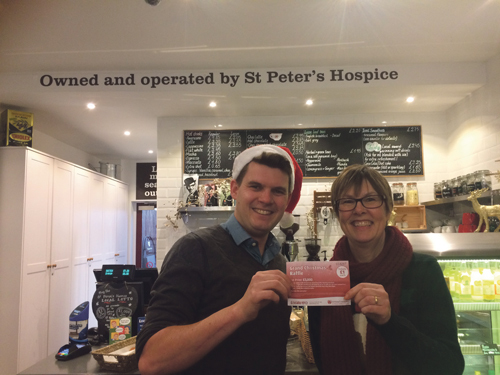 Helen Williams, an admin assistant for a physiotherapy clinic in Bishopston, won the top prize on the St Peter’s Hospice annual Grand Christmas Raffle after buying just one £1 ticket at the charity’s Gloucester Road coffee shop Nonesuch Cup. 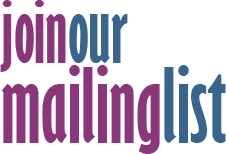 Funds raised from the raffle go towards supporting patients with life-limiting illnesses both at the hospice and within their own homes. This year the raffle has generated a whopping £56,757 for the charity. Helen said: “I still can’t quite believe it’s true - it’s such a nice surprise to receive at Christmas time! “When I bought the ticket, I didn’t even check what the prizes were, it was a spur of the moment thing! I go into Nonesuch Cup a couple of times a week and on this occasion I was treating my friend to coffee and cake for her birthday and I thought why not! I’ve bought the St Peter’s Hospice Local Lotto tickets before but never a Christmas Raffle ticket. “As a family we like to support St Peter’s Hospice as much as possible because it’s such a great community cause. We often shop there and donate items and my daughter has also enquired about volunteering at our local shop, so hopefully we’ll be able to give something back for this lovely prize. St Peter’s Hospice lottery manager, Edd Smith, said: “Huge congratulations to Helen our 2016 first prize winner! We’re thrilled to have made her family’s Christmas a little bit more special. “The Grand Christmas Raffle is a great fundraiser to get involved in. There are some fab prizes up for grabs including the £5,000 grand prize, which is just lovely to give to people at Christmas time. “Thanks to the generosity of those buying tickets, this year we raised an incredible £56,757 for the hospice and these vital funds will help make the lives of our patients much more comfortable as well as helping support their family members. All services are provided free of charge for patients and their families and this care costs around £19,000 a day. In order to continue providing vital care for the people of Bristol, St Peter’s Hospice relies on donations from fundraising and money generated by the 50 hospice charity shops in Bristol and surrounding districts.